The Futurist: Can we future-proof ourselves? While people are talking about the future of marketing, deep down in our mind, we also realise that some of the future is actually already happening. Some companies catch this faster than others. Some are still in the denial phase, others are pioneering the space. No matter what, the future always depends on what we do and create now. Undeniably, technology seems to move faster than the adoption and adaption rate among people and even slower among the industry. Simple thing such as: how many months or years after you create your personal Facebook account that your company adopts Facebook as a communication channel? While we are all heavy and dependent users of Google, is your company already securing keywords in the search engine? Now that we are already in the era of mobile, social media and search marketing and brands claim to have seen their effectiveness, the question is what are the real returns on the investment and what happens to the data collected through these executions? Advertisers pay for clicks, so does it mean they have the access to speak to customers personally? If they do, what is the content of those conversations? Based on my observation and experience, I would say the future of marketing lies in the power of the below four elements. The ability of marketers in predicting what consumers want/need even before they realize they want or need it. OK, so this is a prediction game? Yes it is, and scary enough – prediction in this era is no longer a game, it can be your weapon. Prediction has become fact-based with all the historical evidence – the digital footprint we leave behind when we put our mobile on silent before we go to bed. This is so powerful that almost in any news of technology that we read consists of headlines of big data, personalisation and so on. But why can’t it move faster? My hairdresser and my facial therapist from a small local clinic are still doing it way better than the giant department or grocery store I shop twice a month at. The latter owns my basket shopping data, but is unsure what to do with it. Data itself is not useful if we are only sitting on it. The hairdresser and therapist send me personal texts to remind me about the next appointment and product I need to apply. Life improves with data – and it gets even better when this data is served back to us to solve our problems. We are familiar with branded content. But hey, as consumers – don’t we now enjoy the user-generated content more? The power of user-generated content seems to be surpassing branded content as brands begin to lose control of their own marketing to their customers. My 10 year old son knows all the details about the Samsung S6 phone – not because Samsung talked to him, but because he searched and watched (user-generated) product reviews on S6. Bearing in mind that everyone of us can be the media channel itself. Technology is like alchemy – but it only works if there is an alchemist. The alchemist is a human itself. How do we inject a personal touch to our consumer? Imagine yourself – do you prefer to be served by a machine? No matter how good the voice is? In my experience, I have seen numerous incidents where a complaint has been blown out of proportion on social media, but one personal call from the call centre has resolved it without any further drama. So, with all this advancement, do not underestimate the human approach. Technology should identify the opportunity and predict the trend, but it is still the personalised human approach that makes a whole lot of difference. While we are discussing what marketing in the future should be, it is more crucial to design a product that we will market to be future-fit. As you have seen with CES early this year, you can only be more assured the future product is happening already. The products and services that we thought would happen are in fact available and people are already enjoying them. The internet of things will only lure consumers with the promise of a better, stronger and more convenient life. So are you future-ready? Is your organization future-proof? The writer is Adeline-Ausy Setiawan, managing director, Unilever Enterprises Indonesia. The appointment comes after RoadShow is set to end its broadcasting service on KMB buses, and the company looks to "cement its sta..
Telcos are struggling with their business model. 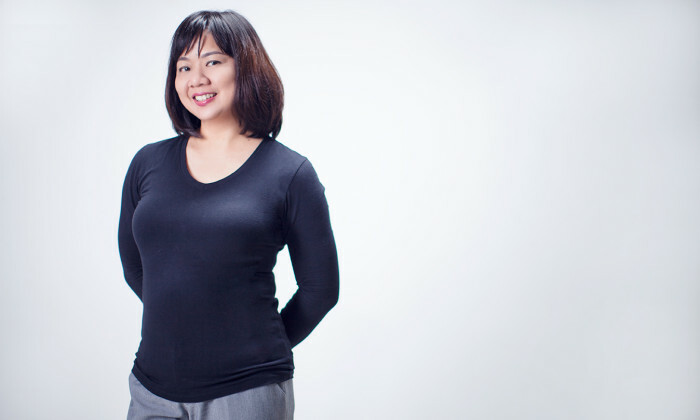 Maxis’ marketer Sulin Lau on the telco’s radically different approach to marketin.. While YouTube need not deploy total control over content, the platform does share the responsibility to ensure that sensitivities ..